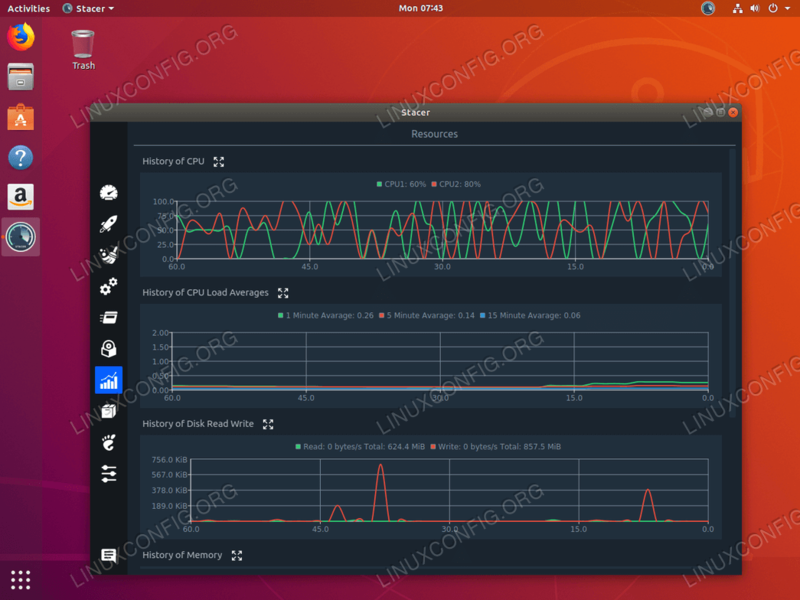 In this article we will be installing Stacer as an alternative system monitoring tool for Ubuntu 18.04 Linux Desktop. 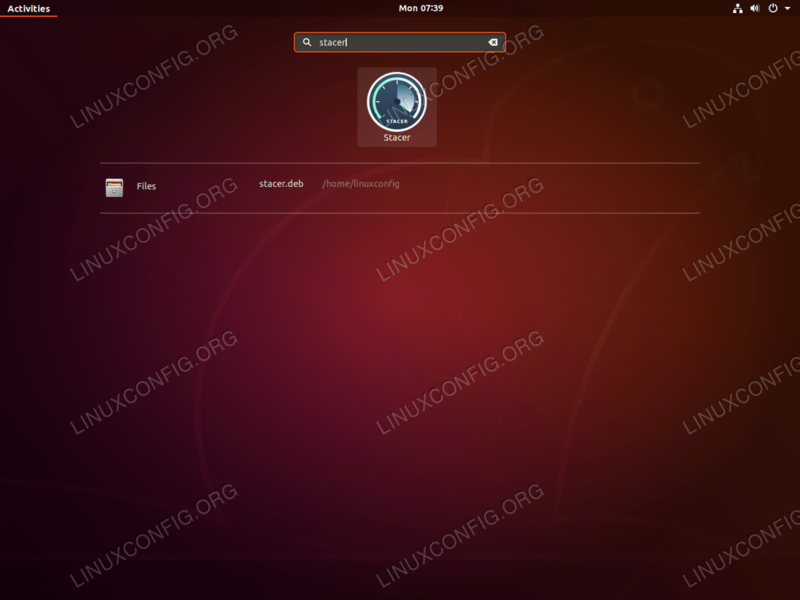 Stacer allows Ubuntu users to monitor and optimize multiple aspects of their operating system. Stacer monitoring includes but is not limited to CPU load monitoring, disk performance and usage. Stacer also allows for number of system configurations as well as it is capable to perform disk clean up. Stacer is currently not available for installation from a standard Ubuntu repository. However, it can be installed directly by using debian package or using the apt command from it's PPA repository ( currently not available for Ubuntu 18.04 ). The above command downloaded Stacer Debian package into our user home directory. When prompted, hity to continue with the installation. To start Stacer simply search your Activities menu.